Scooper - Technology News: Where are the 'brain belts' of the future? Where are the 'brain belts' of the future? “The Smartest Places on Earth” by Antoine van Agtamael and Fred Bakker is a smart book. It is also smartly timed. And the smartest thing it does is land right at the intersection of where three different critical and timely debates have converged. One debate centers on the question of whether the industrialized world is in a phase of jobless growth, interspersed with no growth and even recession. Will we learn new skills and find new jobs or is this phase in reality a permanent state? The second debate has been triggered by the recent excitement around the so-called “second machine age,” involving various forms of automation and new technologies that are poised to take over the tasks historically performed by humans. Will we be freed up for leisure activity or will robots take our jobs? The third debate revolves around the question of what might the implications—and reasons—be of a clearly measurable drop in productivity in the U.S. for the first time in more than three decades. When combined with the data from the rest of the industrialized world with parallel crises— productivity growth in the Eurozone at 0.3 per cent and Japan at 0.4 per cent, which raises concerns about whether we are looking at a prolonged period of wage stagnation and economies struggling to support their already aging populations. 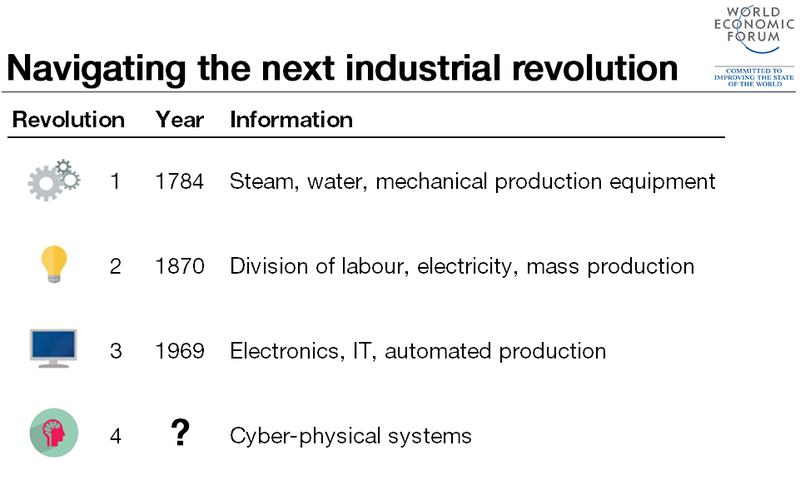 Have the current round of technological revolutions been hyped up and cannot compare with the productivity gains of earlier industrial revolutions or have we yet not experienced the true impact of change that takes the accumulation of multiple generations of technologies? Needless to say, these debates underpin the charged political climate in the U.S. and in many industrialized countries; there is a sense of growing pessimism about the ability of these formerly thriving societies to regenerate and reinvent themselves. There is a general sense fueling the political narrative that the industrialized world is getting older, jobless, and unequal. In the midst of this overcast outlook, this book delivers a glimmer of hope. According to Agtmael and Bakker, the West will be the world’s next emerging market; in fact, the many decaying rustbelts in places such as Akron or Eindhoven or Dresden are sources of future competitive advantage; they shall rise (or have already risen) as the next hubs of innovation and growth. Why should we believe this? The logic seems intuitive enough. All the fallow resources left over from the decay of an industrial past are prime candidates for reuse. To this you add a few key ingredients: a major research university, a major corporation, an ecosystem built on trust and collaboration that also acts as a magnet for talent, a “connector,” and a mystery ingredient that might best be described as the “prince’s kiss,” and voilà: a new brainbelt awakes. This is the core message of the book. While the authors have spent considerable time and energy visiting a multitude of putative brainbelt locations in the U.S. and Europe and talking to “hundreds of people,” the argument is made inductively through a collection of case studies—many of which are explored at considerable depth. The story of Akron going from tire capital to polymer capital or the Netherlands transforming from textiles to thermoplastics is repeated in many other locations documented in the book. The authors catalogue 59 such brainbelts and cover 10 of them in the book. One travels well as the chapters unfold, even if the journey does not necessarily take us to the most exciting of places. While we can always quibble about the usefulness of stringing together a series of case studies and anecdotes into a larger theory with policy and investment implications, there is a conceptual framework underlying the book that makes me want to believe the authors’ proposition. In fact, I have made a similar case myself. In my article “Finding Competitive Advantage in Adversity” in the Harvard Business Review, I make the argument that adverse circumstances produce a situation where several resources remain underutilized and are therefore available at a low price. This creates an opportunity for an innovator to find a low barrier to entry, snap up the resources, and build something new. The authors provide several examples of such underutilized resources, including even abandoned buildings that are re-purposed into coffee shops and wine bars—and spaces for start-ups to set up their offices. It would have been nice to have more discussion of the somewhat more substantive repurposing that is necessary to incubate new technologies or the core pieces of intellectual capital that fuel the revival and are the real “brains” behind the brainbelts. Simply pointing to the anchor academic institution or the vestiges of a once-great company or to the tireless efforts of a “connector” seems quite unsatisfactory, particularly if one is attempting make such a revival a reality in one’s own region. Moreover, if the authors had stuck to the core message and developed it more, the book would have been stronger. Unfortunately, they felt compelled to stray into adjacent territory. These digressions into many different evolving technologies or the challenges encountered by incumbent organizations to be entrepreneurial and innovative or the different forms of funding innovation seem like material re-purposed from umpteen other books on the subject. The presence in this book of broader issues repurposed from the innovation literature dulls the focus. It also runs the risk of making the reader impatient for insights and fast forward to the end to jump to the recommendations and practical implications. 1. Policy makers should build political consensus for basic research, even with tight budgets. 2. Government-funded research should benefit from later financial success. 3. Venture capitalists should teach their investors to think longer-term and early stage. True. But these seem not that much more actionable than the “prince’s kiss.” One wishes there was more: more clarity as to why these are the top three points for policy makers to consider, more original ideas, and more in-depth practical suggestions. Nevertheless, this is an important and timely book; while the title may be a bit of an over-sell of Akron, Ohio, or Albany, New York, as the “smartest places on earth,” one would be smart to give The Smartest Places on Earth a read. Bhaskar Chakravorti is Senior Associate Dean of International Business & Finance at The Fletcher School at Tufts University. He is founder and Executive Director of Fletcher’s Institute for Business in a Global Context . He is also author of The Slow Pace of Fast Change: Bringing Innovations to Market in a Connected World.